On Blue Demon Day, the DePaul Blue Demons (12-9, 4-6 Big East) snapped a three-game losing streak with a 67-55 win over the Providence Friars (13-9, 3-6 Big East) on Saturday. The victory avenged a 70-67 loss in the prior meeting at the Dunkin Donuts Center on Jan. 27. Here are my five takeaways from Wintrust Arena. The ending of both halves proved to be the nail in in the coffin for the Friars with nine straight misses each. Providence coach Ed Cooley refused to give excuses for the poor performance and put it on himself to put the players in better positions to succeed going forward. After being held to six points against Villanova, Paul Reed responded with 18 points and 15 rebounds for his fourth double-double of the season. Blue Demons coach Dave Leitao believes Reed’s surface is still scratching and wants him to remain humble in order for the big picture to be realized. Highly touted freshman David Duke has experienced growing pains this season, but Saturday proved to be a positive step in development with a team-high 17 points, on 3-of-6 from three-point range. Duke helped set the tone for the Friars’ offense early in the first half with a pair of three-point makes. Cooley views Duke in the same mold as guards from the past decade at Providence, such as Kris Dunn, Kyron Cartwright and Bryce Cotton. Cooley believes Duke has become more at ease with the system, but wants overall results to translate to wins, instead of spurts. A good chunk of the Blue Demon wins this season have come with some nail-biters where they almost blew sizable leads and having to hang on by a thread. Saturday’s game proved to be the exception as DePaul closed the game on a 10-0 run and made stops on defense at critical times. The Blue Demons’ success in the second half of Big East play could hinge on late-game executions. 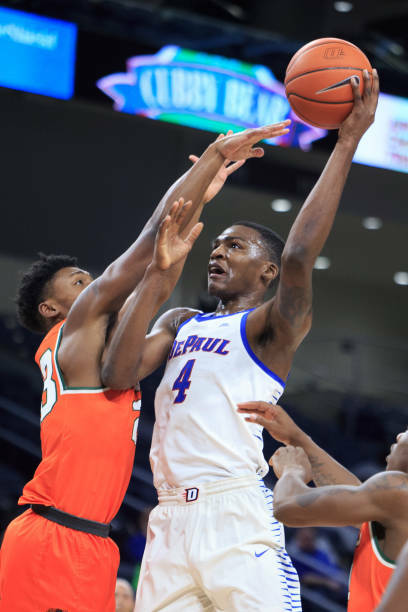 Free throws have been a struggle for DePaul this season, but the second half showed otherwise as it went a perfect 14-of-14 and played a pivotal part in the win, when other areas on the floor went cold.